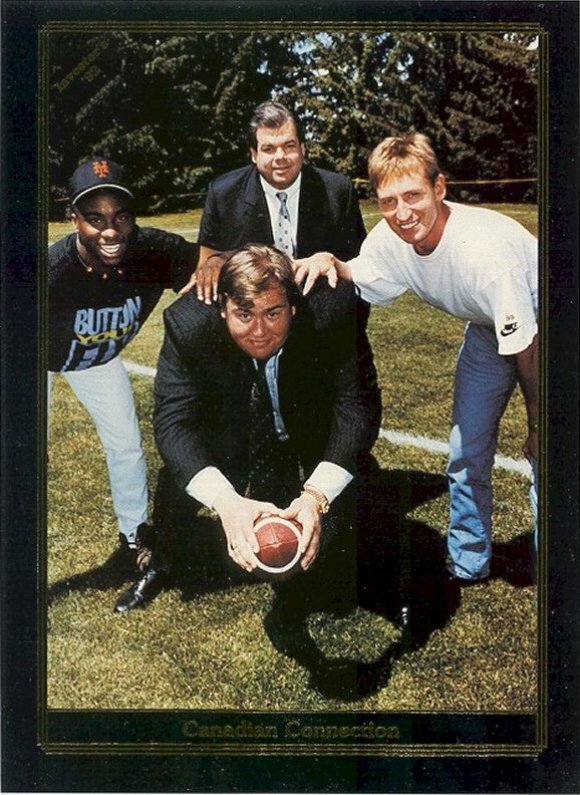 JohnCandy.com - Photos - John Candy and his fellow Toronto Argonauts investors. John Candy and his fellow Toronto Argonauts investors. Nice Pic. That's of the Candy Man, Bruce McNall (former Kings owner), Wayne Gretzky (Hockey Legend), and Rocket Ishmail (NFL Football Player).